USS Weehawken , a 1335-ton Passaic class monitor built at Jersey City, New Jersey, was commissioned in mid-January 1863. 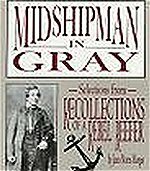 A few days later, while en route to Port Royal, South Carolina, she encountered a heavy winter storm and proved that ships of her type could successfully handle such weather. In early February, Weehawken joined the South Atlantic Blockading Squadron to participate in combat operations along the Atlantic coast from South Carolina to Florida. 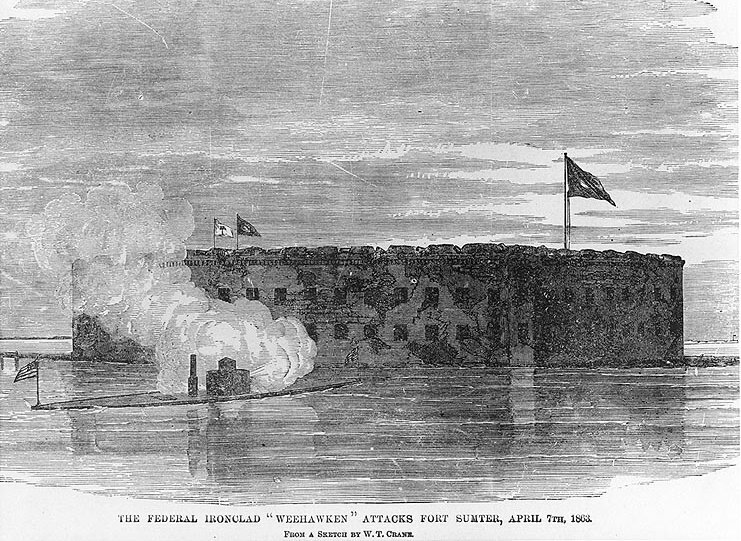 On 7 April 1863, Weehawken led a strong force of new ironclads in a close attack on Fort Sumter, guardian of the entrance to Charleston harbor, S.C. This attack, which demonstrated some of the limitations of monitor-type armored warships, ended after several of the attacking ships were damaged. Weehawken was struck by over fifty enemy cannon projectiles and shaken by the explosion of a nearby mine. After receiving repairs, she was sent to Georgia waters, where, on 17 June 1863, she encountered and quickly captured the Confederate ironclad Atlanta . After this victory, which made her the object of great fame, Weehawken returned to the Charleston area, where she spent the summer of 1863 participating in regular bombardments of Confederate positions ashore. These greatly assisted in the capture of Fort Wagner on Morris Island and reduced Fort Sumter to rubble, though that position remained as strong or stronger than ever. During one of these attacks, on 7 September 1863, Weehawken grounded and was exposed to heavy fire from the forts. With the assistance of other monitors, she was successfully refloated on the following day. The repaired Weehawken was back on the Charleston blockade in early October. While moored off Morris Island in rising seas on 6 December 1863, she began to taken on water forward. Due to faulty trim and debris in her bilges, the influx overwhelmed her pumps and the ship sank rapidly. Over thirty of Weehawken 's officers and men were lost with her. Line engraving, after a sketch by W.T. Crane, published in "The Soldier in Our Civil War"
USS Weehawken firing on Fort Sumter during the attack. USS Weehawken pushing the mine-clearing raft designed by John Ericsson for use in Charleston harbor, South Carolina. 19th Century engraving depicting Weehawken in a harbor. 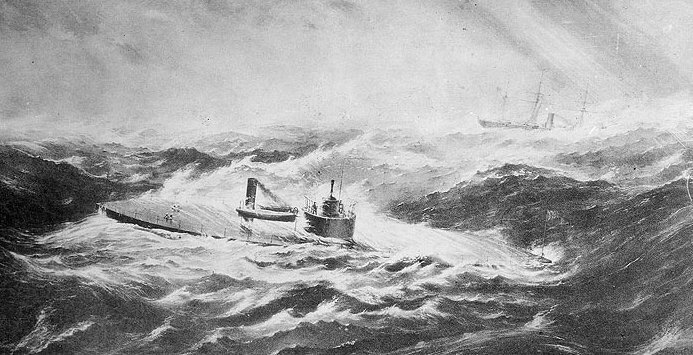 19th Century photograph of an artwork, depicting Weehawken in stormy seas. Line engraving published in "The Soldier in our Civil War", Volume II, page 172, with a key to individual ships and land features shown.